We all face risks in a variety of ways, as individuals, businesses and societies. The discipline of risk assessment and risk management is growing rapidly and there is an enormous drive for the implementation of risk assessment methods and risk management in organizations. There are great expectations that these tools provide suitable frameworks for obtaining high levels of performance and balance different concerns such as safety and costs. The analysis and management of risk are not straightforward. There are many challenges. The risk discipline is young and there area a number of ideas, perspectives and conceptions of risk out there. For example many analysts and researchers consider it appropriate to base their risk management policies on the use of expected values, which basically means that potential losses are multiplied with their associated consequences. However, the rationale for such a policy is questionable. A number of such common conceptions of risk are examined in the book, related to the risk concept, risk assessments, uncertainty analyses, risk perception, the precautionary principle, risk management and decision making under uncertainty. 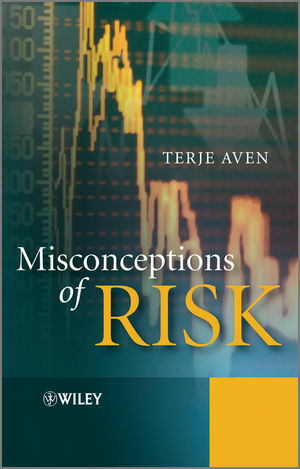 The Author discusses these concepts, their strenghts and weaknesses, and concludes that they are often better judged as misconceptions of risk than conceptions of risk. Discusses common conceptions of risk with supporting examples. Provides recommendations and guidance to risk analysis and risk management. Relevant for all types of applications, including engineering and business. Presents the Author’s overall conclusions on the issues addressed throughout the book.